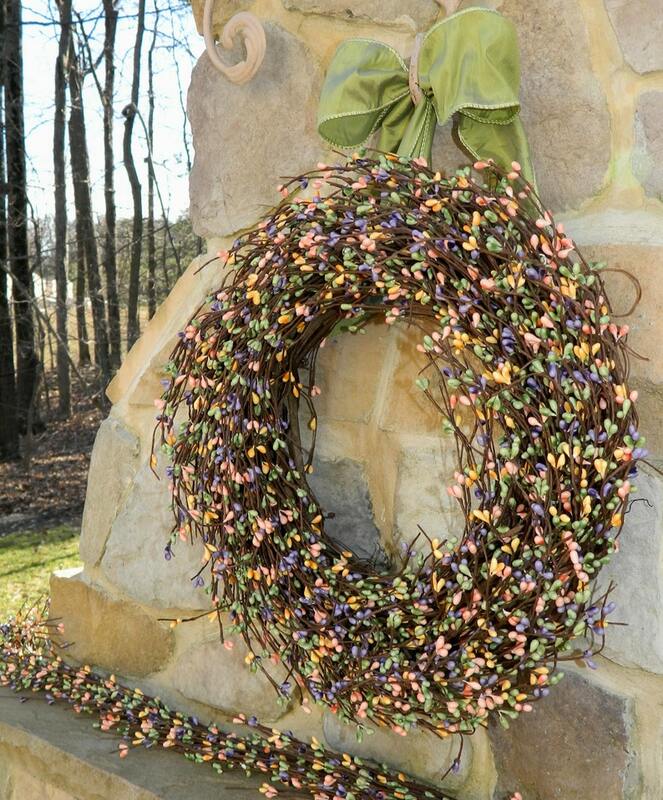 This beautiful spring wreath from Ever Blooming Originals ® is made from a sturdy grapevine base which is overflowing with an abundance of multi spring-colored pip berries - all topped with a beautiful ribbon in the color of your choice. 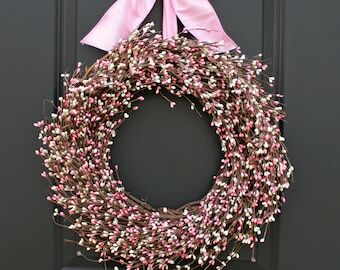 It's the perfect way to decorate your home for Easter, spring, and summer, and it makes a great Mother's Day gift. These are just as beautiful as shown. I'm very pleased! !